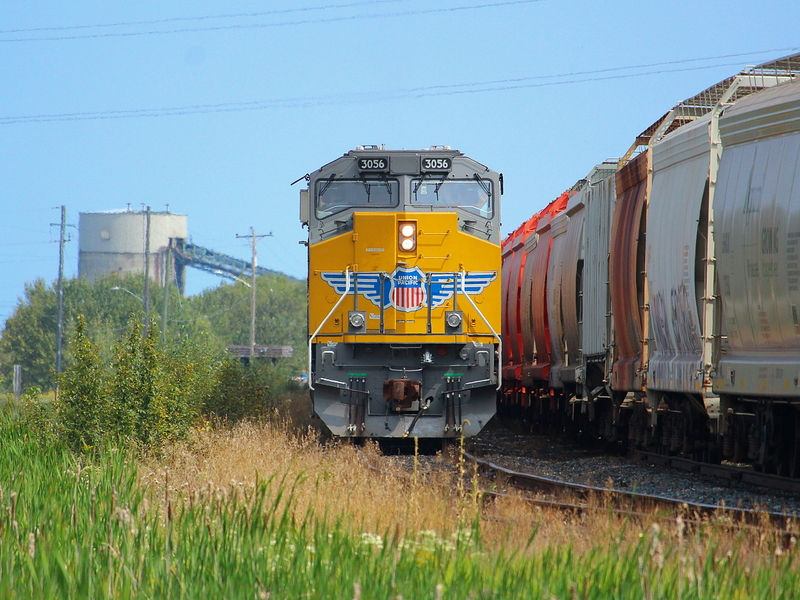 Railpictures.ca - James Knott Photo: I was in Thunder Bay for four nights and checked in on this train quite a number of times over the span of a few days as it unloaded coke at Thunder Bay Terminals. Sadly, this may have been the only time I had sun on it. I had a shot in mind for when it was leaving town as well, but it left under the cover of darkness so that never came to fruition. Regardless, it was a fun train to see, and Thunder Bay Terminals is certainly a neat operation to take in. | Railpictures.ca – Canadian Railway Photography – photographie ferroviaire Canadienne. Caption: I was in Thunder Bay for four nights and checked in on this train quite a number of times over the span of a few days as it unloaded coke at Thunder Bay Terminals. Sadly, this may have been the only time I had sun on it. I had a shot in mind for when it was leaving town as well, but it left under the cover of darkness so that never came to fruition. Regardless, it was a fun train to see, and Thunder Bay Terminals is certainly a neat operation to take in.